For years, our committed Aussie athlete Brendan Davies has dreamt about racing this historic 100-miler. This year he got his shot. 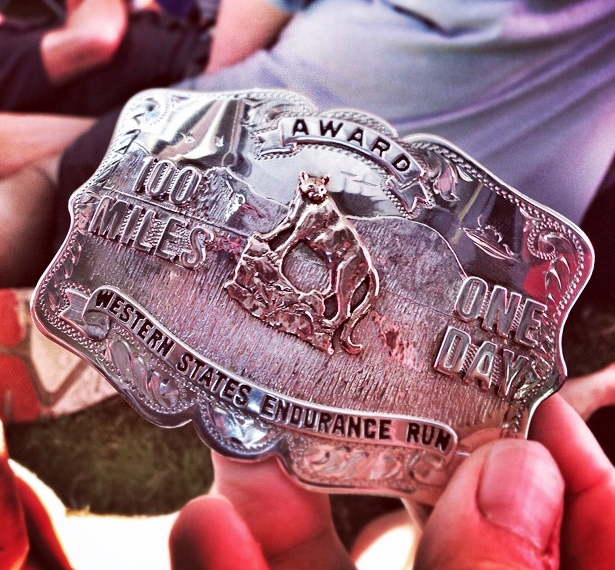 The Western States Endurance Run is the oldest and most prestigious of all trail 100 milers in the world. Standing on the start line at Squaw Valley among 400 competitors as race originator Gordy Ainsleigh gave a stirring speech was a moment I had long dreamt about. Ahead lay the imposing Sierra Nevada Mountain Range complete with all its snow, dust, canyons and river crossings. It is a race that holds so much mystique and history, and I just couldn’t wait to get started. My race plan was pretty simple; keep it very comfortable and minimise muscular damage until the ‘halfway’ point of the race at Foresthill at 60 miles. This marks the end of the major descents and torturous canyon climbs. From there it is pretty open and full of fast running, but only if one has the legs to do it and can handle the conditions of the day! Running to this plan, I got to Foresthill in 10th place and feeling great. I’d kept a steady, sustained effort up to this point, rarely reaching threshold, even though I ran every step of the way, including all the canyon climbs. I was now ready to unleash and reel in the carnage that I was sure would occur in front of me. Surely the pace of the front-runners couldn’t be sustained and they would fall victim to the conditions of the day or their own aching body, or so I thought. But run quickly I did. With my inov-8 teammate and pacer Scott Dunlap pushing me along, I scorched the next major ‘Cal Street’ legs, passing four runners and getting to the river crossing in 6th place. After taking some food and water on board before the crossing, I lost 6th spot to Ian Sharman, who ran through the checkpoint and got to the crossing first. The last 35km of the race were on beautiful rolling single track. I continued to push on, even though fatigue had begun to set in and stomaching gels had become a challenge. My new pacer and I set off after those in front. Past experience had told me that the last 20km in 100 milers is where positions come the easiest -if one still has the legs. My legs felt strong; my quads were benefitting from the downhill conditioning I had put them through in the lead up, energy levels were still strong and my technique was still very sound. I felt I had a top-5 finish in me and the rare potential to ‘finish in daylight’. Ian Sharman and Ryan Sandes were my first targets. I knew from word on the course that they were within grasp, and at one stage I chased down Ian to within a minute. But as much as I pushed, both Ian and Ryan were up to the challenge. Although gains were made; each runner stayed strong. Amazingly, only one runner that was in front of me at Foresthill succumbed and dropped back. This summed up the quality of the athletes I was competing against. Coming into the last 11km, the earlier big efforts began to show and I hit a small low patch. Alex Varner, with whom I had a ding-dong battle all day, passed by and knocked me down to 8th place. I regrouped and again set about trying to catch Alex and any others in front who may have been tiring badly. Unfortunately, it wasn’t to be. Even though my Foresthill to finish split was one of the quickest on the day, the top-5 stayed incredibly strong and maintained some of the advantage they had built up over me in the initial race stages. Rarely has a 100-miler panned out like this. In the end, 8th place and a sub-16hr time far exceeded my expectations. I have joined a small group of runners to go under 16hr in the race’s history. And yes, no headtorch was necessary! A top-10 finish means I now have an automatic entry for next year’s race. If I do take the invitation to race this great event again, the lessons learned from the 2014 race will prove invaluable. Perhaps I will take more risks with my early pace and push even harder on the downhills and flatter sections. But you can count on one thing, if I am standing at Squaw Valley in a year’s time, I won’t be there to fill the top-10, I’ll be cougar hunting! One simply doesn’t take an entry into this race for granted. To give it anything but your best in training and in the race would be sacrilegious to the bib number worn. When the trail running gods give you an entry to WSER, you simply owe them your very best. I feel on the day, I gave them just that. I used the inov-8 trailroc 255 shoes for the entirety of the race. This was a great shoe for the variable conditions of the course and gave me the comfort I needed for all 16 hours on the trail. Early on, the course goes through many loose, rocky sections and the 6mm footbed saved my feet for the smoother and faster sections later in the race. The grip of the shoe was more than adequate for the long downhill stretches and my descents into the canyons were some of the quickest of the day. 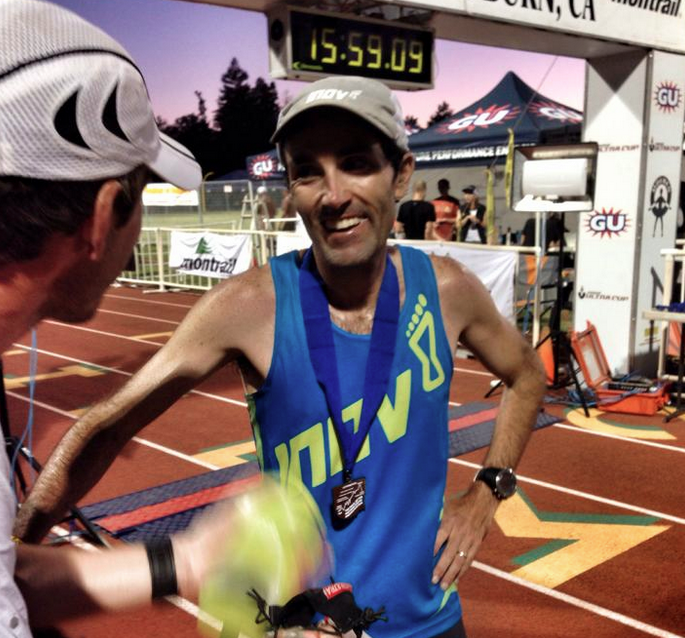 My inov-8 teammate Yassine Dibboun (15th) wore the new race ultra 290 shoes and Gary Gellin (16th) wore the roclite 295s. The other nifty bits of inov-8 kit I used throughout the race were the 500ml race ultra softflasks. With no mandatory kit required, I opted for these instead of the race ultra vest. Yassine and Gary both used the vest. At the end of the day, it comes down to personal preference. The flasks felt natural to carry, using the race ultra 0.5 bungee handgrips. They were quick and simple to refill at the aid stations too. Having them so handy (pardon the pun) kept me well on top of my hydration. Lastly, in true ultra runners style, I wore, for the majority of the day, the inov-8 racepeak 30 Legionnaire style cap. The ‘flap out the back’ offered me protection from the sun and it also served as a very effective cooling agent. At each aid station and creek crossing I dipped the cap in water and the ‘drip irrigation system’ served to keep my core body temperature at a manageable level. This result consolidates my spot in the top bracket in the Ultra Trail World Tour (UTWT). Thanks to inov-8 and UTWT for the opportunity and support, it is much appreciated!